I've been writing about Romania off and on for about 10 years, and it remains one of my favorite countries. Over that time, as a foreign traveler, I've gotten myself into some fairly strange and often silly situations. Not every encounter, of course, makes it into a guidebook. People often ask me what it’s really like to be a travel writer. These are stories that help me to answer that question. 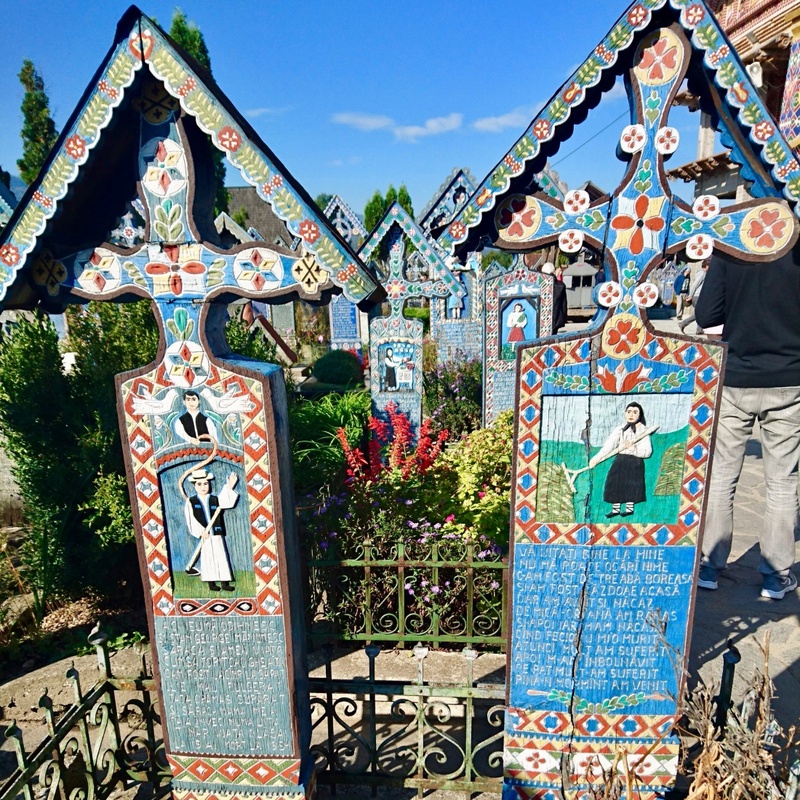 Top Photo: The Merry Cemetery in the Maramureș village of Săpânța. Photo by Steve Fallon. Posted in On The Road and tagged language, Maramures, Romania. 'Where is the bus station?' Photo by Steve Fallon. There's always plenty to drink in Maramureș. Photo by Steve Fallon. 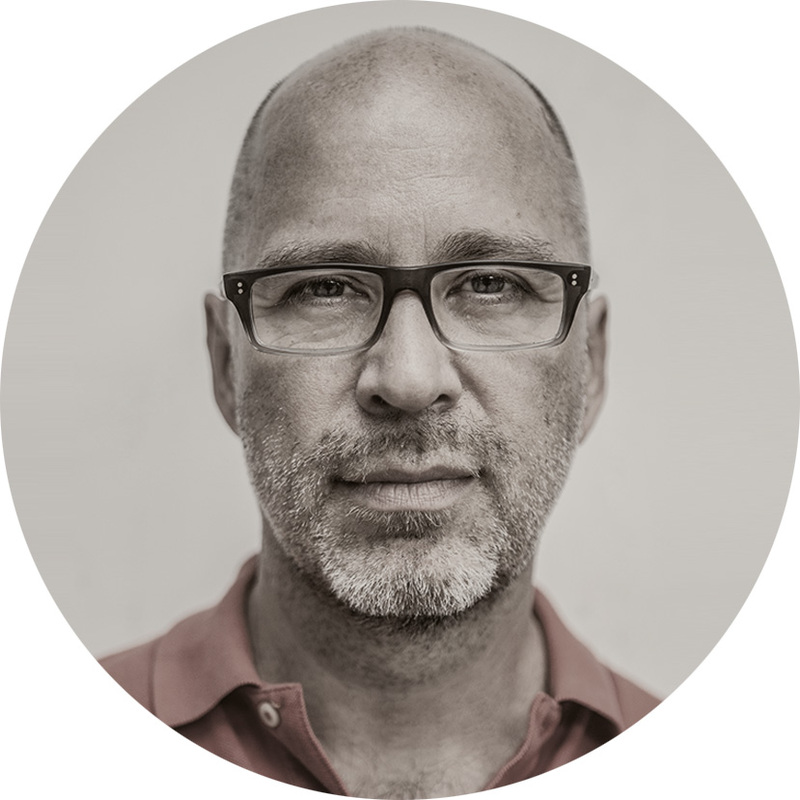 Over the past 10 years, I have written (or co-written) around half a dozen books on Romania and have traveled all over the country. Normally, I take my car and bicycle on these research assignments, but on one particular journey, a few years ago, I was traveling only with a backpack by bus and train. 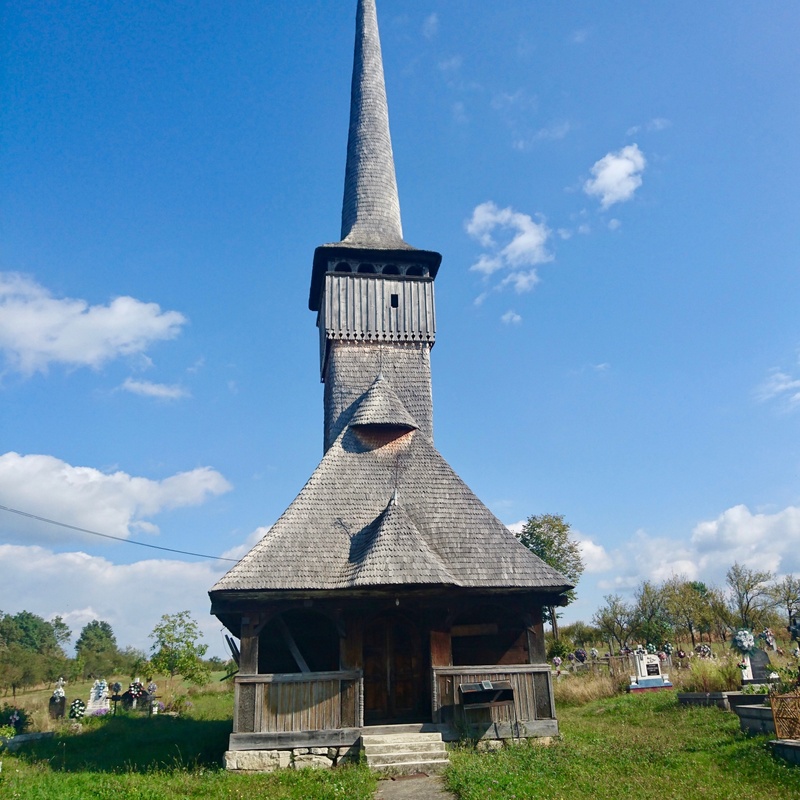 My first stop on that research trip was in the northwestern region of the country, in Maramureș, where I visited the Merry Cemetery and spent a few days moving between villages, dropping by guesthouses and sampling some Romanian plum brandy, țuică. 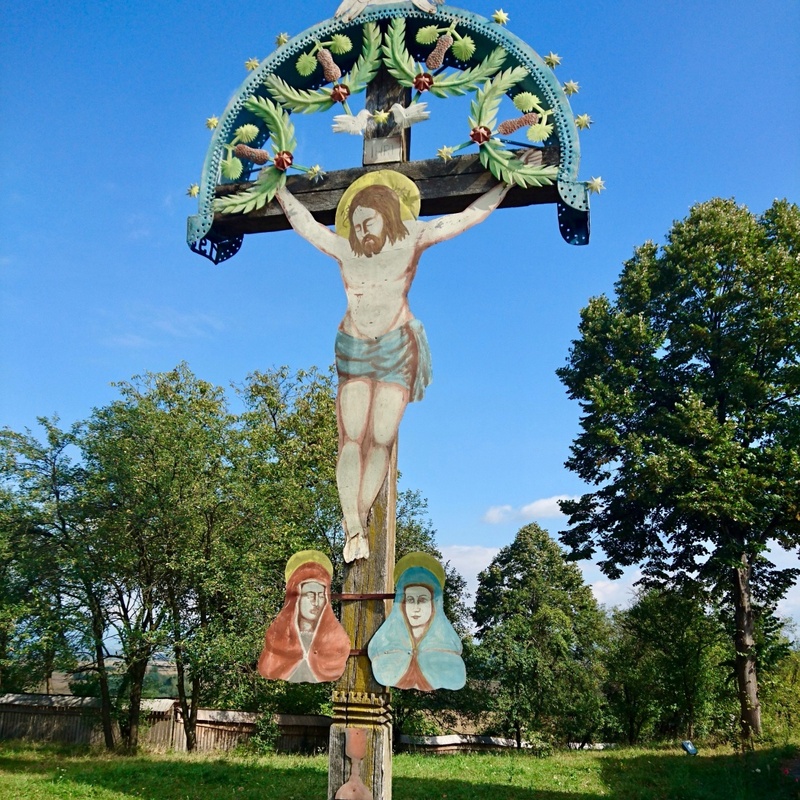 After Maramureș, the plan was to travel east across the Carpathian Mountains to the province of Moldavia in order to see and write about the Painted Monasteries in Bucovina. Judging from the map, it looked like an easy hop from the main city in the area, Sighetu Marmației, across the peaks and down into the valley to the village of Vama on the other side. At the time, I still hadn't grasped the fact that Romania remains less a unified country and more a fusion of three (or four, if you’re counting Northern Dobrogea) historically distinct regions. I figured it would be easy to buy a bus ticket to cross the country, but it turned out to be anything but. I went to the small bus station in Sighetu Marmației, purchased what I thought was a ticket to Vama, and settled in for a long bus ride over the mountains. Imagine my surprise when a couple of hours later the bus abruptly stopped in an empty parking lot on the edge of the scruffy town of Borşa, still on the Maramureș (western) side of the peaks. Everyone got off. The bus showed no sign of going any further. Hmm, I thought. This didn’t seem to be right. I was more than a little bit confused. I got off the bus like everyone else and tried to figure out what to do. 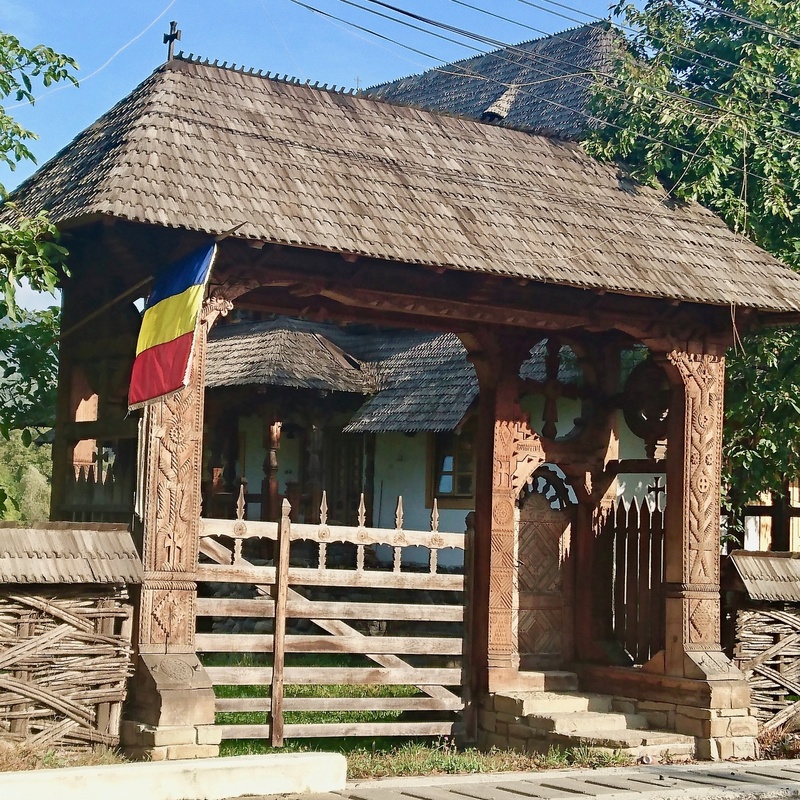 A traditional wooden gate in Maramureș. Photo by Steve Fallon. The Merry Cemetery in the Maramureș village of Săpânța. Photo by Steve Fallon. 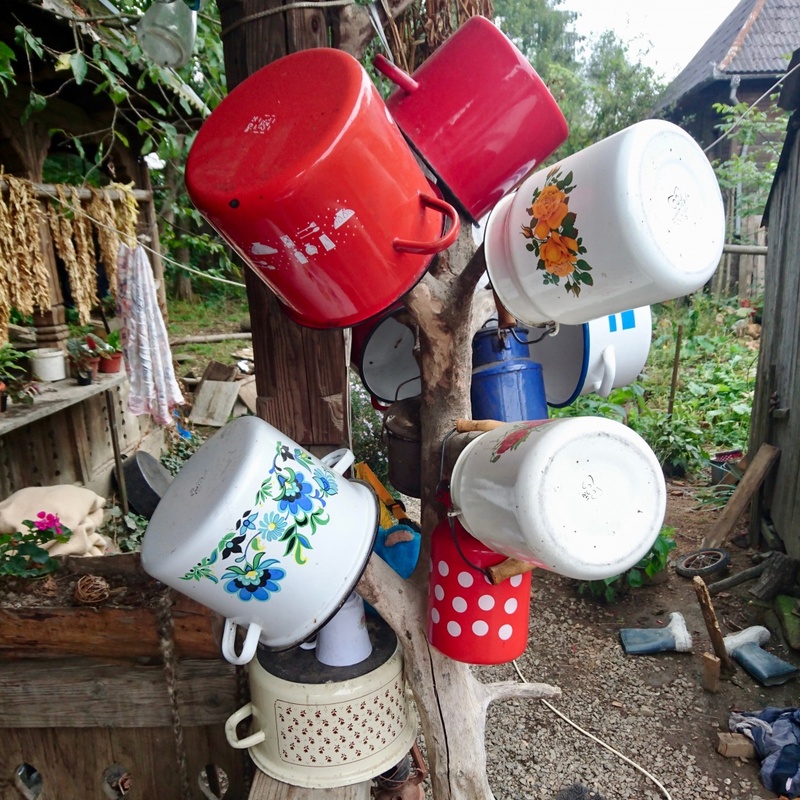 A tree of cups in Maramureș. Photo by Steve Fallon. To prepare for the Romania trip, back in my home base of Prague, I had taken a few weeks of Romanian-language lessons. Of course, one of the key phrases in learning any language is “Where is the bus station?” In Romanian: “Unde este autogară?” I figured this was the perfect chance to try it out. Me (speaking in my best “American-imitating-a-Romanian” accent): Bună ziua! (Hello!) Unde este autogară? Old Man (staring at me like a visitor from Mars): Huh? Me (raising my voice for emphasis): U N D E E S T E A U T O G A R Ă?? Old Man (casting his eyes blankly around the parking lot): Autogară?? Me: Da! (Yes!) Autogară. Unde? He spoke his final line, “There is no bus station (here),” with an exaggerated sense of solemnity. It was as if he were telling me there was no god or no purpose to the universe. Oh well, I thought, I guess there's no bus station. Still not sure what to do at this point, I wandered around Borşa for a while and dropped by small hotel not far from where the bus had stopped. The woman at the desk could muster a bit of English. She told me, yes, there was a bus to Vama, across the mountains, but it wouldn’t be leaving until 7am the next morning. I had made an arrangement a few days back to meet a friend in Vama for dinner, so the 7am bus wouldn't work for me. I thanked the woman, left the hotel, and started walking out along the highway in the direction of Moldavia. Like any self-respecting backpacker, I would have to hitch-hike. Thankfully, this story has a happy ending. It turned out to be a warm and sunny afternoon, and every 20 or 30 minutes or so, someone would stop to pick me up and take me a little ways up and later down the mountain. Each driver professed shock at finding an American guy standing alone along the highway. The best guy was driving a low-rider BMW or Audi. He seemed incapable of going slower than 100 kilometers (60 miles) per hour. I arrived in Vama that evening with a few minutes to spare before my dinner meet-up. Each of the drivers had politely declined my offer of gas money. 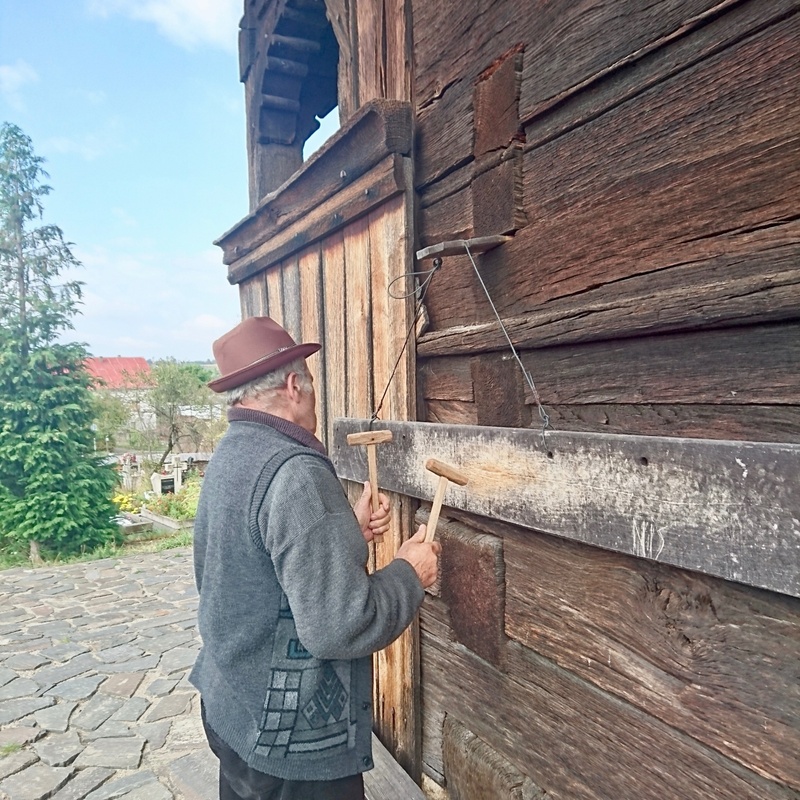 Maramureș is known for its tall-steepled wooden churches. Photo by Steve Fallon. Welcome to Maramureș. Photo by Steve Fallon. 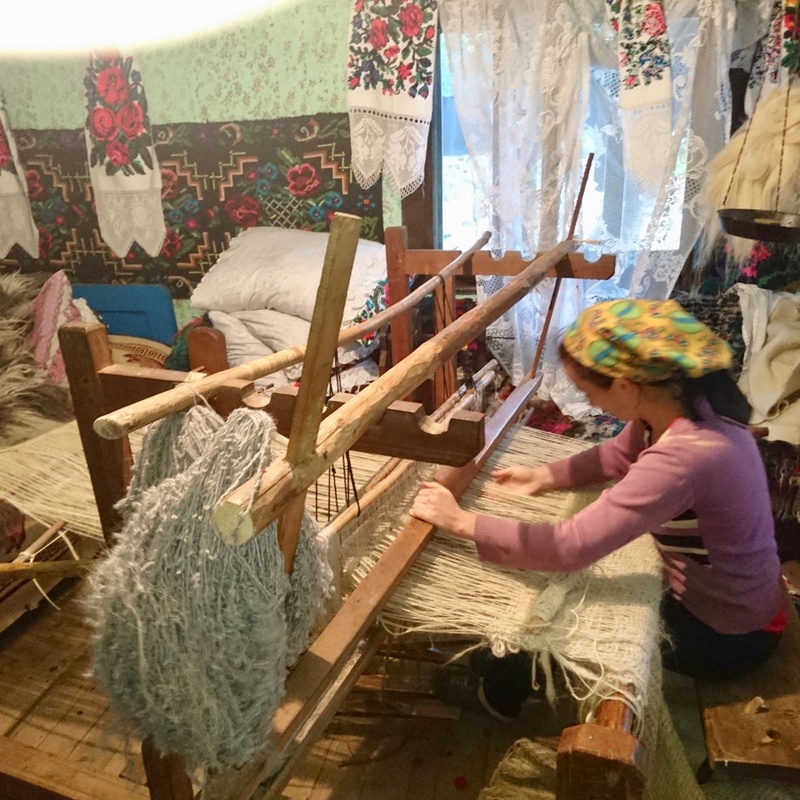 Traditional textile-making in Maramureș. Photo by Steve Fallon. 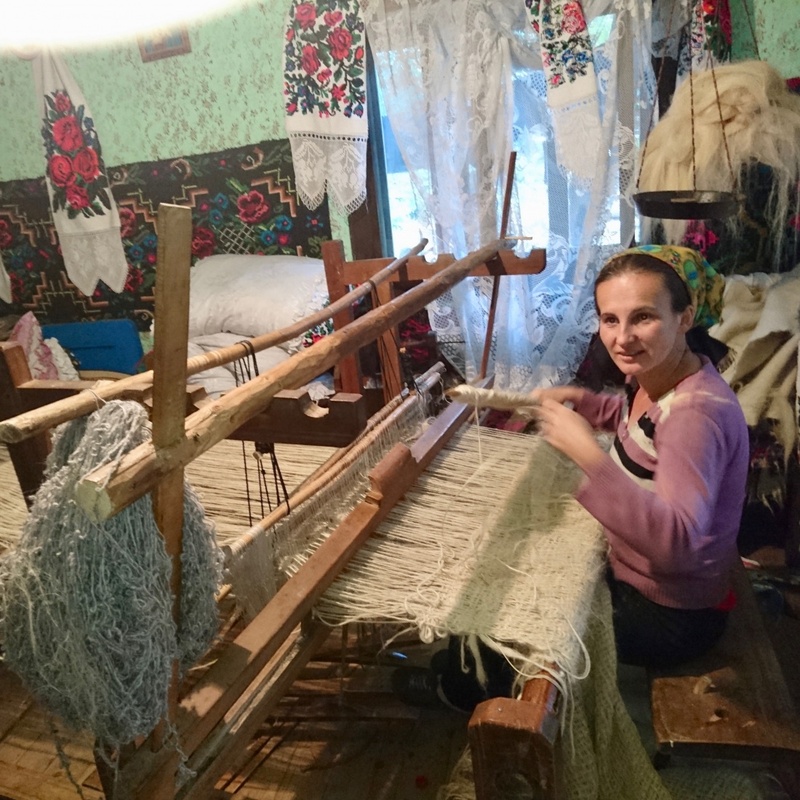 Traditional weaving in Maramureș. Photo by Steve Fallon.